A deck can be a wonderful addition to your home, giving you structural access to the outdoors while improving the visual appeal of your residence. The addition of a deck to your property can also considerably increase the overall value of your house. Unfortunately, there are several potential setbacks and challenges you can face when building a deck. There is no right or wrong reason to build a deck, and there are hundreds of options for practically any design or price range. However, if you want to build a deck of your dreams, you should identify a few important things: the reason you are building the deck, your needs and requirements, and the options available to you. Although you may want to build a deck yourself, we still believe that it is best if you hire the services of a professional deck contractor to help you build the deck of your dreams. What are the benefits of hiring a deck builder? Well, in addition to getting a well-made deck, you won´t have to worry about the paperwork or permits, and you´ll also probably end up with a warranty or a guarantee on the work. Here are some questions you should ask yourself when building a deck. Why do I want to build a deck? Do you want to extend your indoor living space? Or do you want a deck that serves as an extension of your kitchen, with a grill or outdoor oven? Are you interested in building a beautiful deck complete with potted flowers and herbs? Or would you rather have your deck centered on an addition, such as a hot tub? You need to ask yourself this particular question because there are different types of building materials and styles for every different function the deck serves. Will the deck be freestanding or attached? Both freestanding and attached decks have their share of advantages and disadvantages. 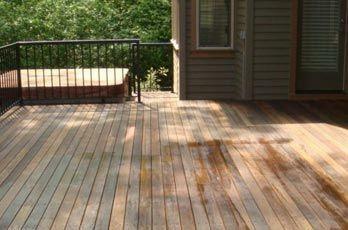 An attached deck is easier to add; however, freestanding decks are much easier to design. Out of the two different types, an attached deck tends to add more value to the overall value of your property. A freestanding deck, such as one around a landscape element or around a pool, requires several support beams. Meanwhile, as the name implies, an attached deck uses the existing house structure as one of those beams, which can, in turn, decrease the material costs. 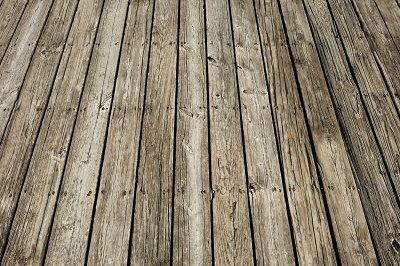 However, attached decks can leave your home more vulnerable to rot and pests. Fortunately, you have the option of choosing from many different deck styles, from rustic to sleek metal to everything in between. You may be on the lookout for building materials and a layout design that blends in well with the design of your home, or you may simply prefer the deck to stand out on its own. 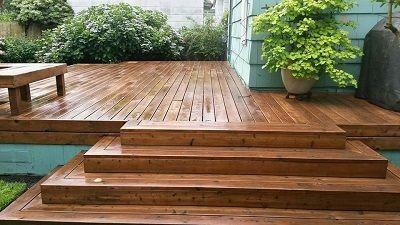 However, we always believe that you should consider opting for the style of deck that blends in well with your home. A modern deck is probably not going to blend in well with an old-fashioned Colonial. What weather conditions will the deck need to withstand? You should be aware that your deck will be subject to the whims of the weather for years. It is imperative for you to think critically about the various different types of weather conditions your deck will need to withstand. Hence, a lot of thought must go into selecting the necessary deck building materials. There are some materials that are simply more sturdy and reliable than the rest. For instance, cedar and redwood are quite resistant to the elements and perform exceptionally well under harsh weather conditions. Composite decks can also prove to be an ideal choice for extreme climates. You will need to weatherproof your deck and install some additional layers of support to your deck. How do you intend to maintain the deck? It is absolutely essential for you to perform regular maintenance work on your deck if you want it to remain in good condition for a long time. In addition to cleaning it thoroughly on a regular basis, you will also need to apply weatherproofing and other coatings periodically. There might even be a need for you to repaint it. Not all types of materials require the same maintenance effort, so keep that in mind when you shop for different options. You may need to balance aesthetics against need for maintenance. Do you want your deck to be private? Before you install a deck, you need to know the amount of privacy you wish to have. After all, the amount of privacy you have will vary based on your deck´s placement and layout. Are you looking to install high fences around your deck to keep things as intimate as possible? Or are you looking to place your deck in a more open environment to increase visibility? You should be pretty upfront with this question right from the beginning. How much are you willing to spend on your deck? Are you willing to spend top dollar? Or is your budget the most significant limiting factor in your deck building decision? Are you attempting to get the most value for the least possible cost? Although high-quality lumber and good craftsmanship cost additional money, the superior quality of product and work can make your home more valuable. Only you, and you alone, are capable of answering the budget question. There is no denying the fact that this is a highly subjective question with multiple possibilities. Therefore, making the decision of choosing the color for your deck will entirely fall into your lap. However, we would advise you to bear in mind that, when choosing the basic colors, you should consider your deck´s finish, and whether you plan on repainting it in the future. As long as you do your research and make some decisions in advance, you can make the right decision when it comes to building a deck.